There are thousands of species of flies in the United States. While only a select number of these species are common nuisances, the disruptions they cause to your horse's normal feeding and pasturing routines can be upsetting. Many fly species can also transmit injurious diseases, making it even more important to implement a three-stage fly control program of prevention, reduction, and management to protect your horse's comfort and health. The first step to fly control is preventing flies from becoming a problem in the barn and pasture areas, which is best done by targeting the species most common to your environment and most harmful to your horse. Reduce the number of flies by starting fly control early in the season. Prevent flies from breeding by using products that interrupt fly life cycles. Use products that will target all the species in your area. Practice routine sanitation and take housekeeping measures to keep fly populations down inside and around the barn and surrounding environments. Effective fly control strategies target flies throughout the fly life cycle. Reducing larval habitats attractive to flies with regular cleaning and mucking and keeping all edibles for your horse in closed storage bins. Keep your barn and pasture areas clean and dry by eliminating standing water and dispose of all wet feed and hay. Be sure to also dispose of all trash in sealed, rodent-proof containers. Using repelling sprays approved for barn use around the barn’s perimeter and set traps for common nuisance flies outside to draw flies out of the barn and prevent flies from entering the barn. Do not use traps inside the barn or you will attract many flies right where you are trying to get rid of them. Flies are a top annoyance to many horses and horse owners. Maintaining pastures, employing good manure management methods, and protecting horses with products and flywear is essential throughout the season. Keep your pastures healthy and pick up manure daily. Best practice is to cover stored manure piles with clear plastic and/or to hire a commercial service for pick up and removal. Use a feed-thru fly control product prior to the onset of the season to inhibit the development of adult houseflies and stable flies in the manure of treated horses. 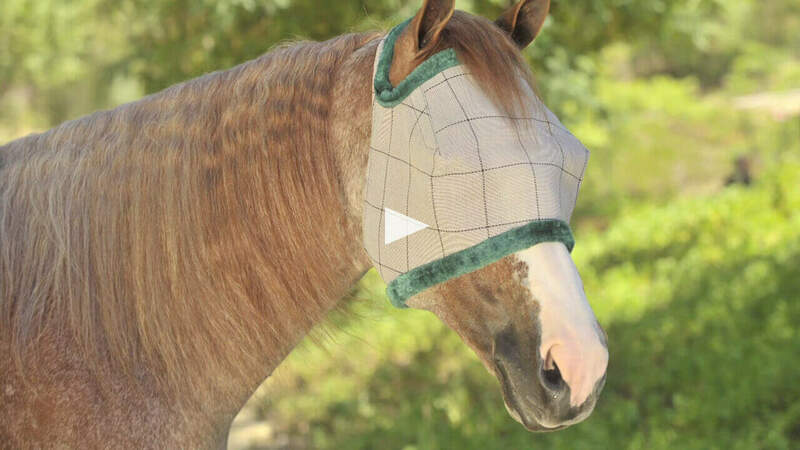 Use good flywear, such as Farnam's SuperMask® II Horse Fly Mask, to help protect your horse's face, eyes and ears. Use equine fly control products on your horse, especially around sensitive areas, which varies depending upon the fly species. Available products include roll-ons, sprays and lotions; always be sure to follow the product label’s directions for use. The most effective fly control strategies target flies throughout the fly life cycle, using methods for prevention, reduction, and management. Farnam has a full line of fly control products to protect you, your horse, and your surrounding environment. 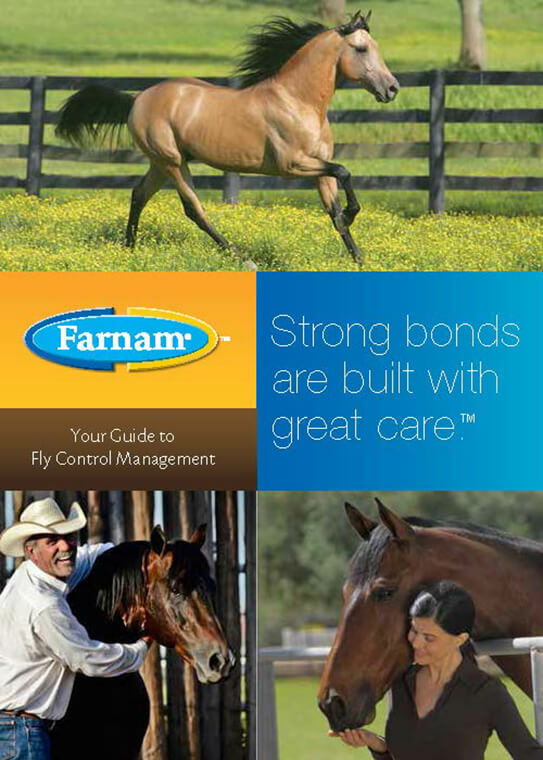 Learn more about how Farnam can help you build an effective fly control strategy with our Fly Management Control Guide.